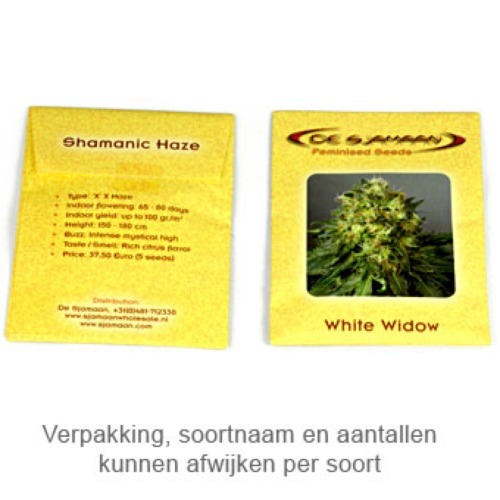 White Widow from De Sjamaan are cannabis seeds that are feminised. This strain is definitely the most popular and best sold weed strain in the world. You can find the White Widow in every coffeeshop. De Sjamaan White Widow are cannabis plants that are very easy grow, therefore they are very suitable for growers with less experience. This cannabis plant produces a high yield and is very powerful. The effect is too powerful for smokers with no experience. This weed strain is appropriate for an indoor grow and outdoor grow. The taste by smoking this weed is light fruity. The effect is a quite strong stoned feeling. 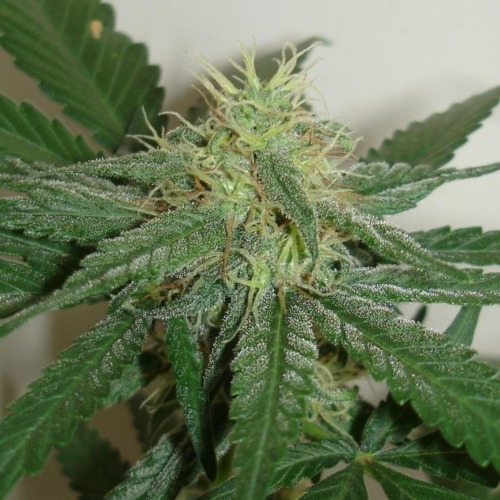 Growing cannabis from these feminised cannabis seeds provide you a very powerful weed that you should have definitely tried. Tell us and our customers what you think of the White Widow from De Sjamaan.